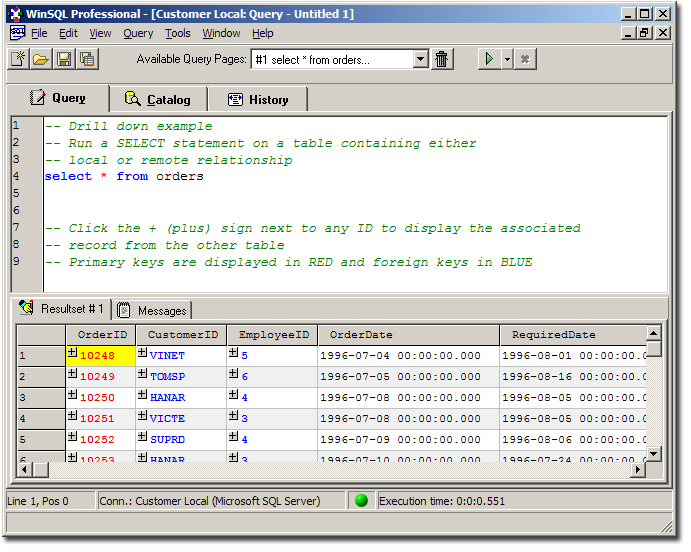 Drill down results - display records from associated tables. 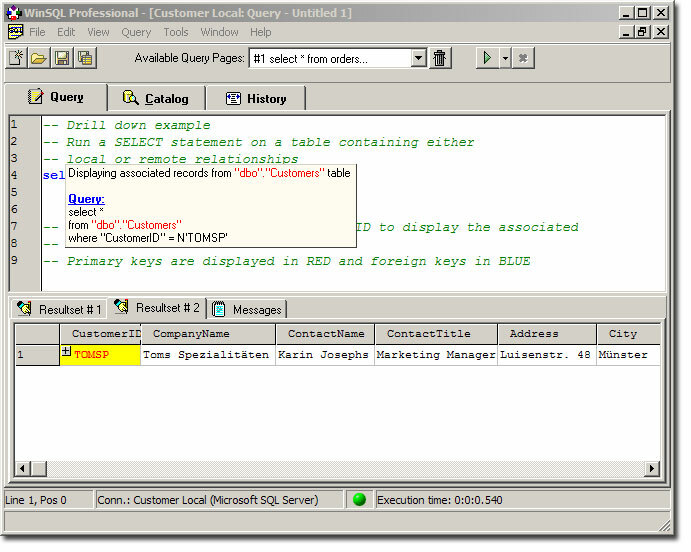 When you run SELECT statements containing a table with either local or remote relationship, WinSQL can display related records with a single mouse click. 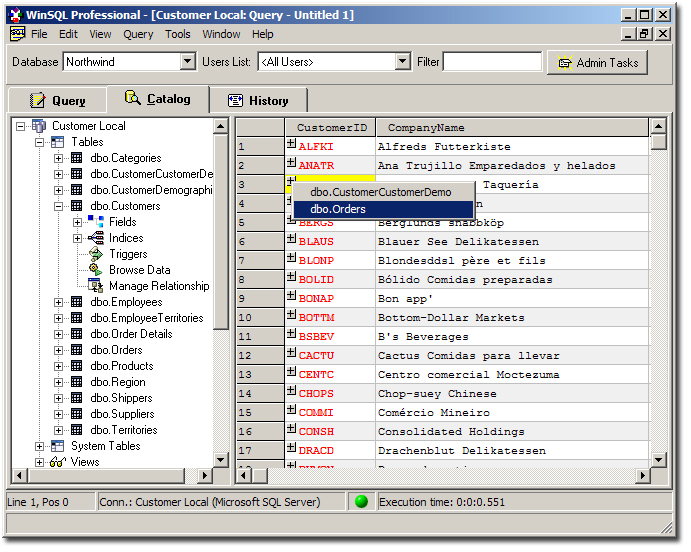 Drill Down data is also available while browsing data through the catalog tab. If there are more than one tables associated to a primary key, you get a pop-up menu that allows you to pick the desired table.